It’s time to move on to creating unique and fun embellishments. 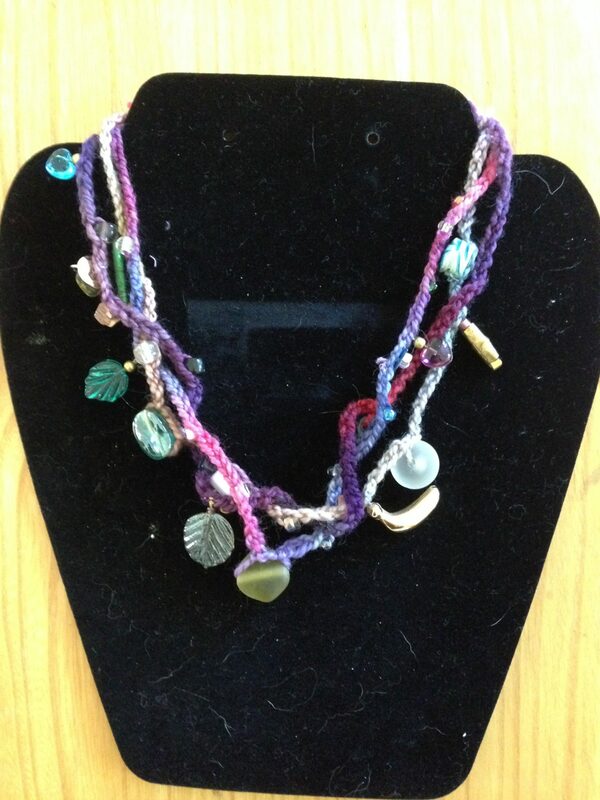 Have fun crocheting jewelry, flowers, and freeform pieces. If you know the basics of crochet and want to enhance a purse, coat or handbag, this workshop is for you. This is the final workshop in the series of 4 that Lyn will teach. If you are ready to move beyond the ordinary, you can start right here! Students are asked to bring a worsted weight yarn and a G crochet hook.